This gorgeous shopper tote is made from authentic Ghashghaei Kilim and genuine brown leather trim. Designed for on-the-go elegance, this striking and handy tote bag will make you stand out of the crowd. Made from authentic kilim and natural leather, this cylindrical cosmetic bag comes in a variety of colours and designs. 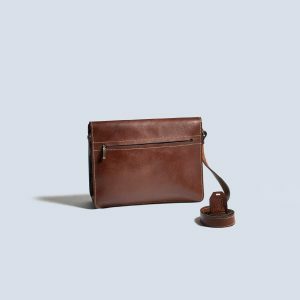 Featuring a Suzani kilim and genuine leather design, this piece is perfect for both professional women and men. A versatile and stylish handmade satchel bag made by masters of the art of kilim. This colourful kilim (Jajim) and leather wallet features a stylish hand-stitched design.